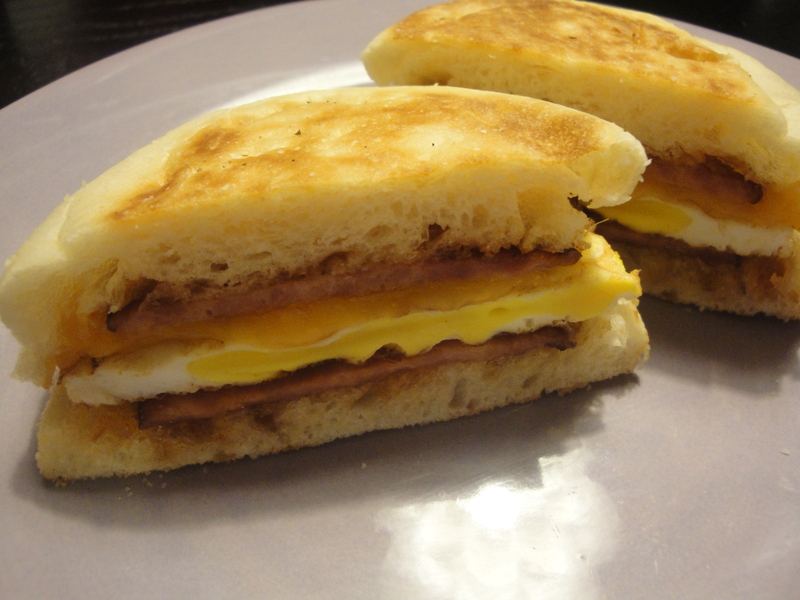 When I end up at the office late and don’t get home until 8 or 9pm, my usual go-to quick dinner is an egg sandwich. 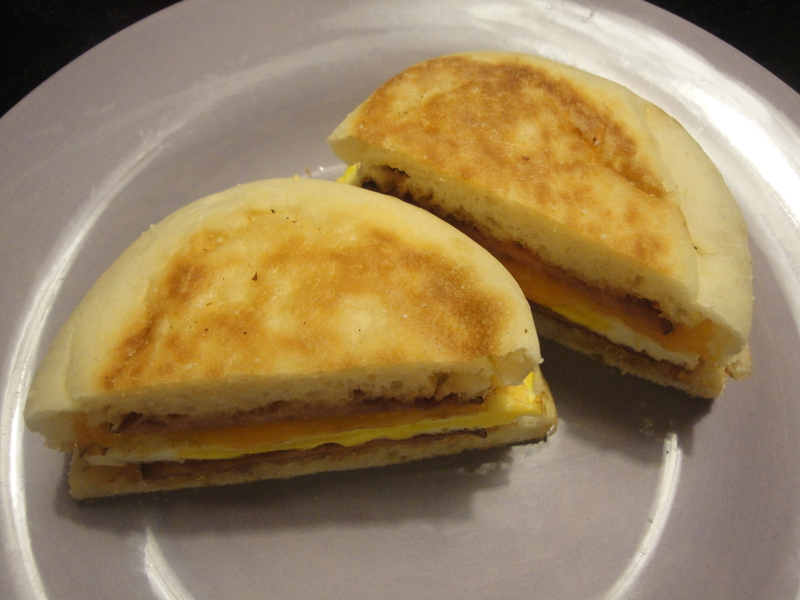 My mom used to make fried egg sandwiches on toast with a thin layer of mayonnaise and I wasn’t comfortable with straying in order to make this Breakfast Sandwich with Mango Chutney. But this blog is all about getting me out of my comfort zone, right? 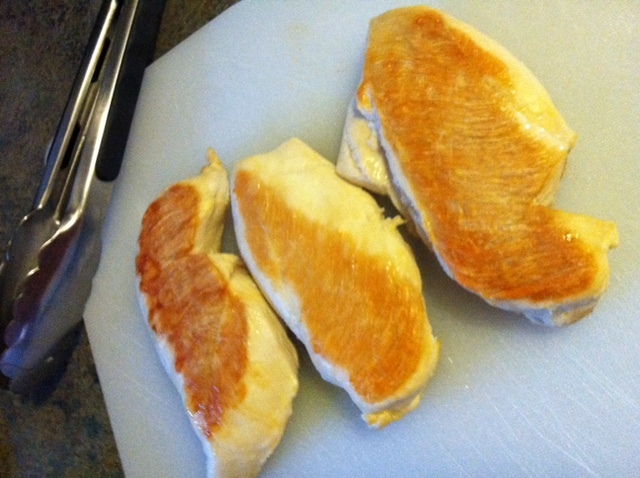 As I mentioned earlier this week, I had turkey Canadian bacon in my refrigerator and this is a perfect way to use it. 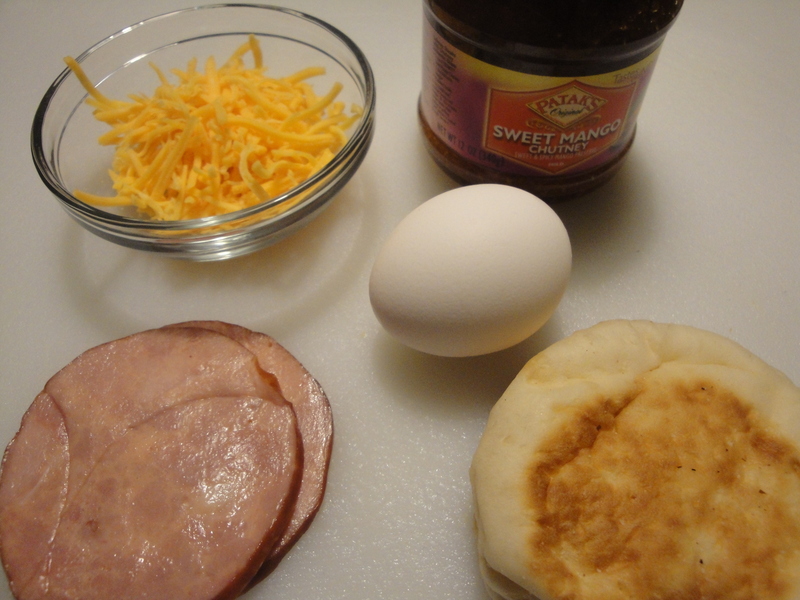 English muffins are spread with a little bit of mango chutney before being topped with slices of ham or Canadian bacon, a fried egg, a handful of cheddar cheese and then broiled. I was worried the mango chutney would make this too sweet but it brought the perfect mix of sweet and spicy and complemented the Canadian bacon deliciously. 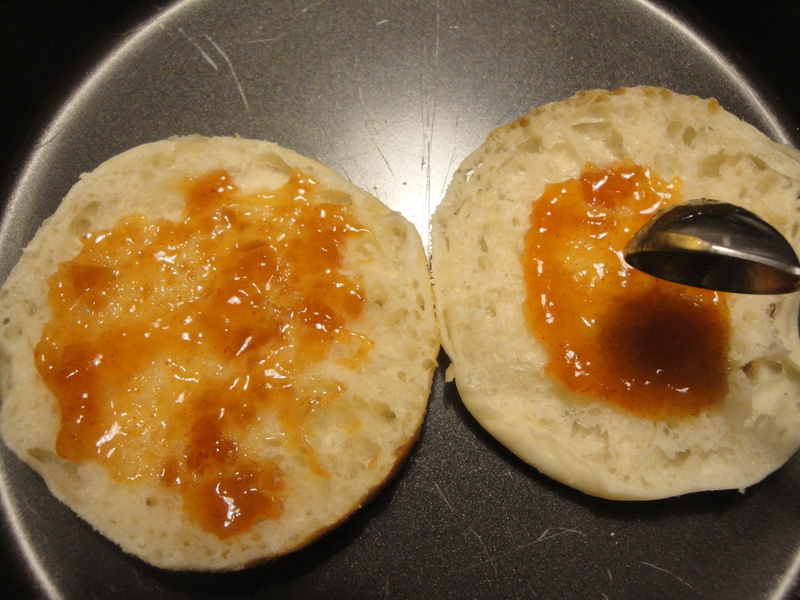 To add a slight crunch, I’d recommend toasting the English muffins first. 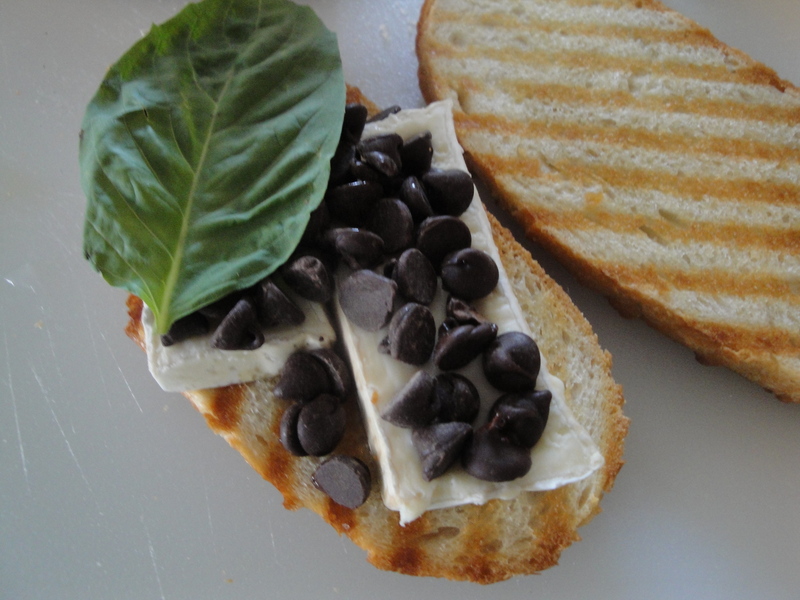 I just might make this for dinner again tonight! Heat a skillet sprayed with non-stick spray over medium-high heat. 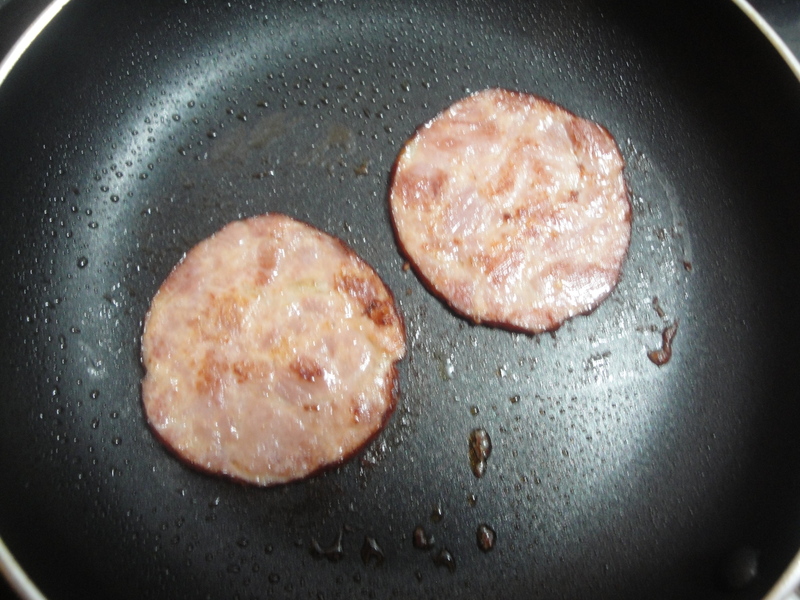 Cook slices of Canadian bacon until fully cooked. Remove from skillet. 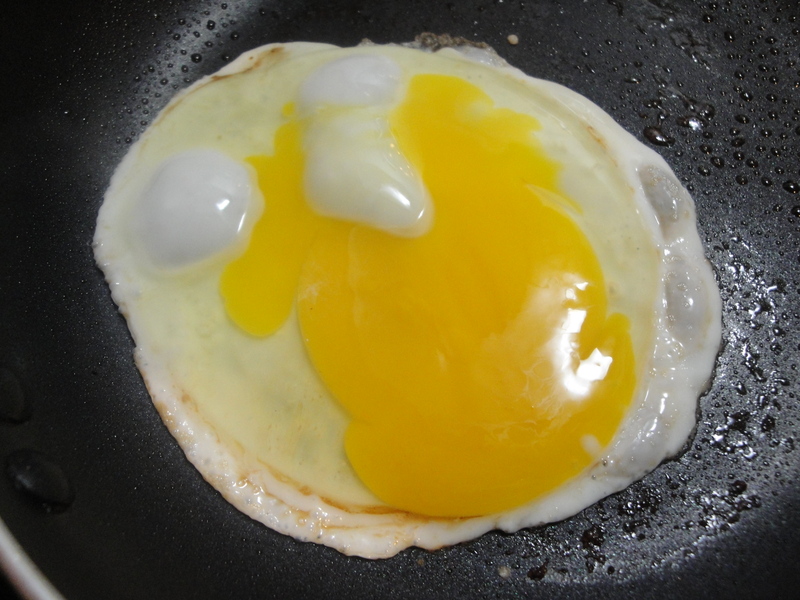 Crack egg into warm skillet and cook until it’s cooked to your liking. 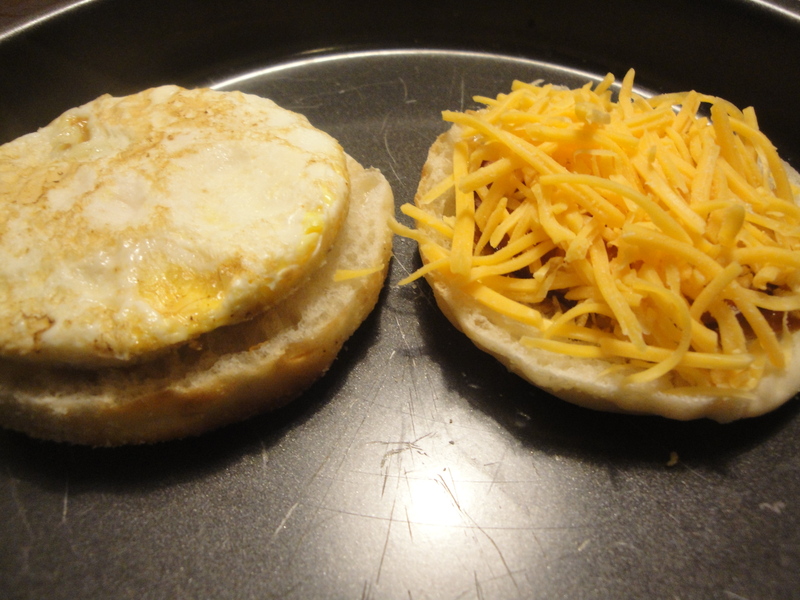 While egg cooks, place English muffin(s) on a baking sheet and spread mango chutney on each slice. Top chutney with slices of cooked Canadian bacon, fried egg, and a small handful of cheddar cheese. 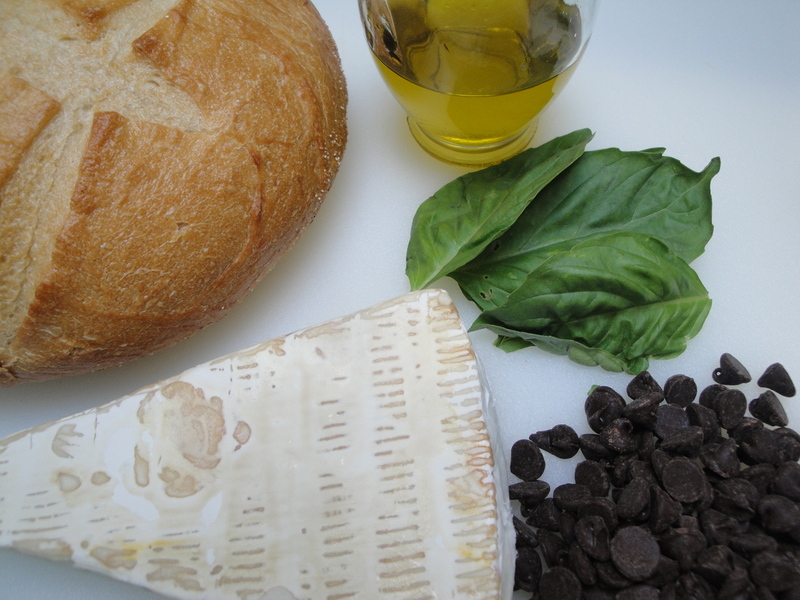 Place baking sheet under broiler until cheese has melted. 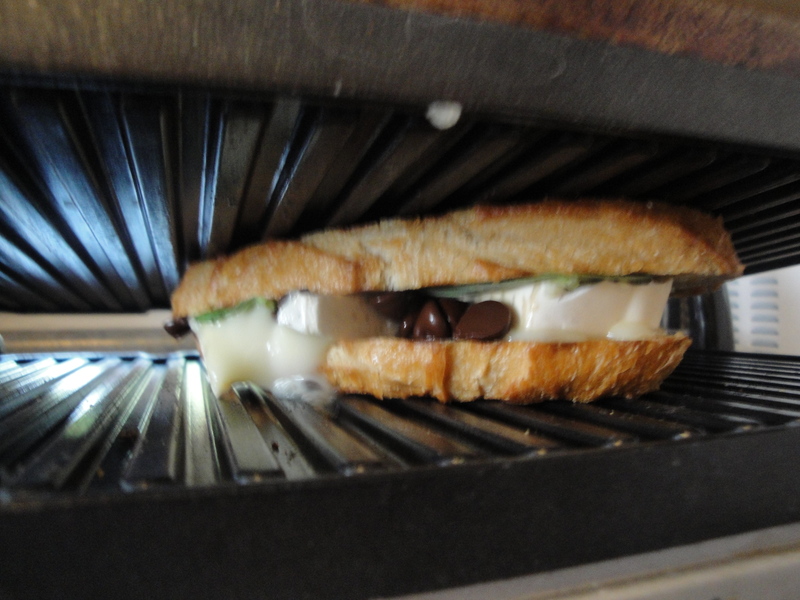 It’s not often that I eat sandwiches unless they are paninis but every once is a while, I want to dig into a hearty sandwich like the next guy. 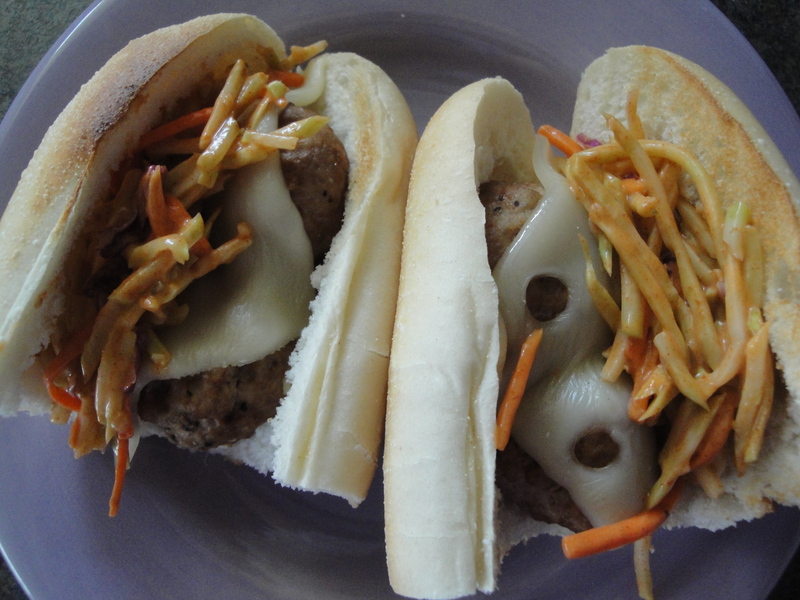 These Turkey Meatball Reuben Subs are right up my alley. 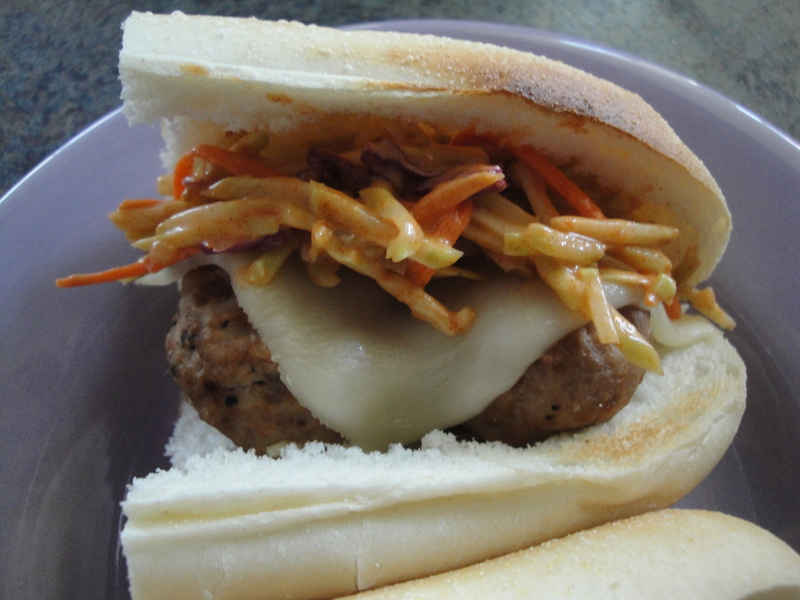 Ground turkey is flavored with spices, and topped with swiss cheese and a quick coleslaw. 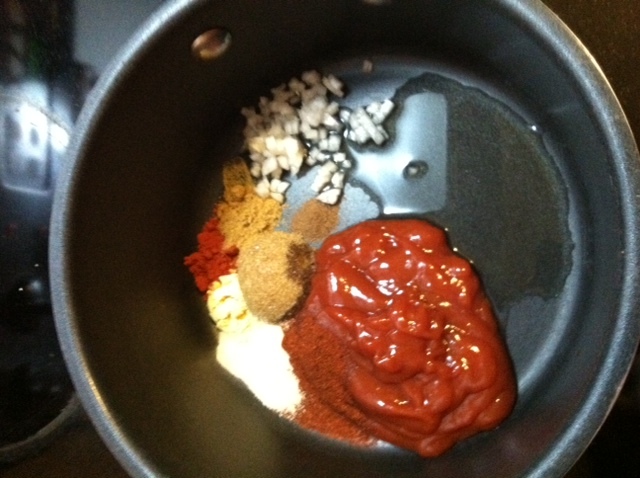 Paprika, coriander, and garlic gives ground turkey some flavor while the cayenne and black peppers give it some heat. 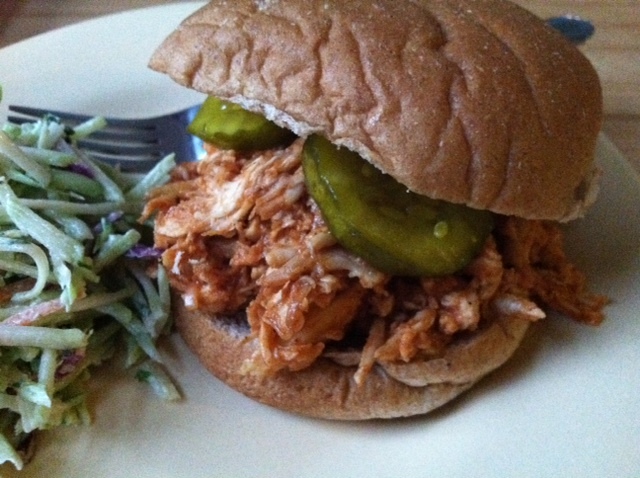 I used broccoli slaw instead of regular cabbage slaw and liked the additional crunch factor it provided. 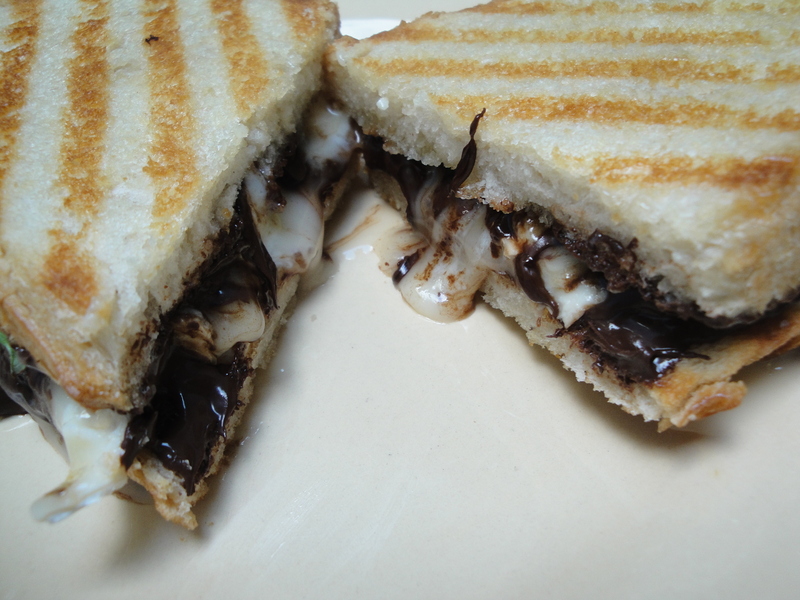 These can easily be made and wrapped up to go so I might just make another one of these for my next tailgate! 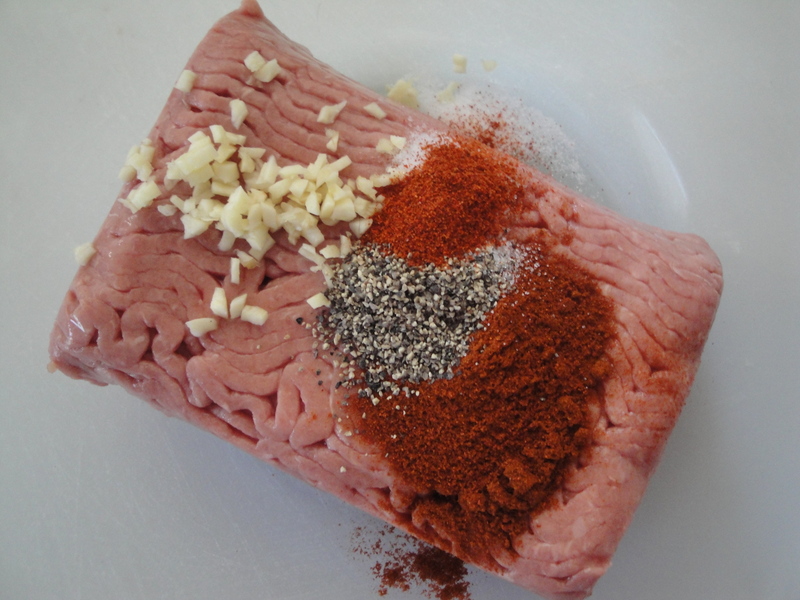 Mix ground turkey with spices, garlic, sugar, and salt. 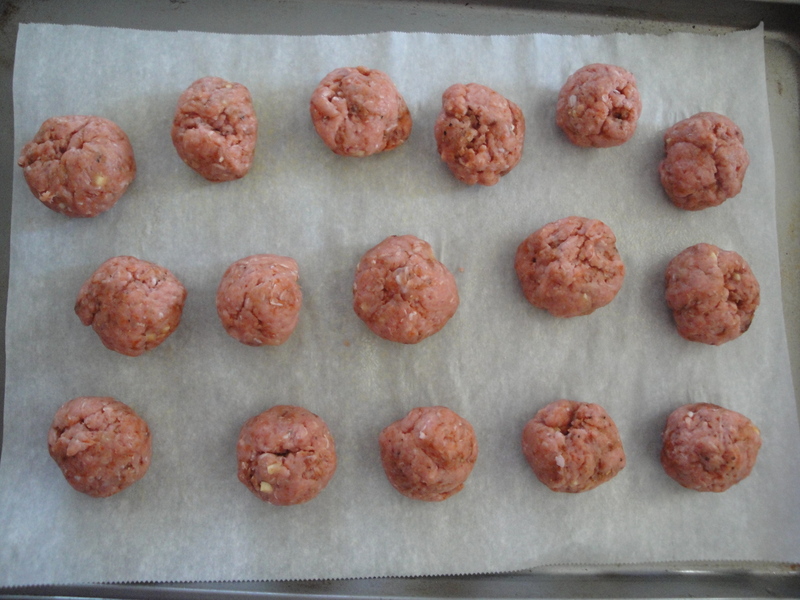 Shape into 16 meatballs and broil until fully cooked (the recipe says 8 minutes but my needed an extra couple of minutes). 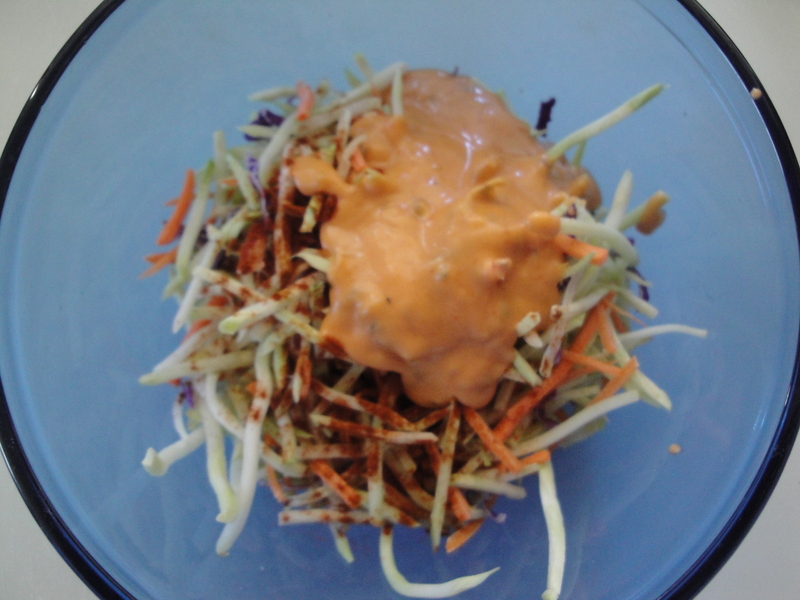 While the meatballs broil, mix together the slaw, paprika, and Thousand Island dressing. 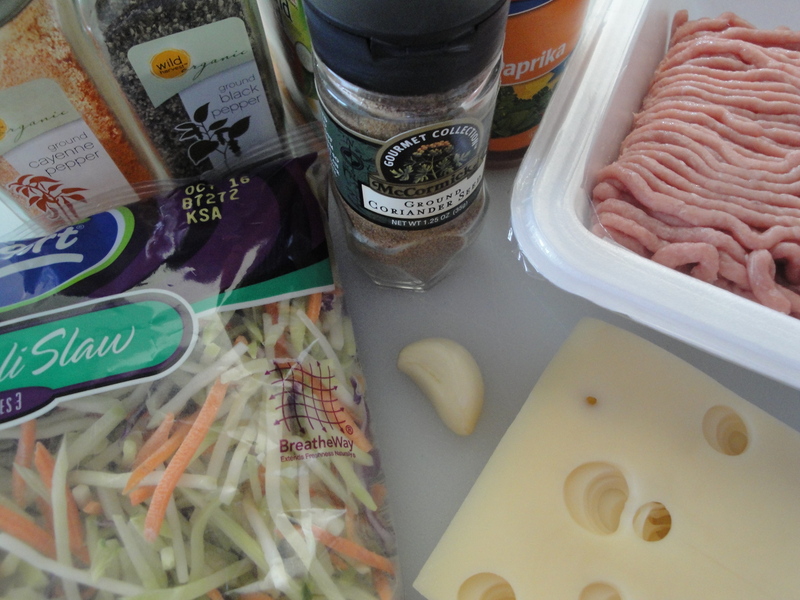 When meatballs are done, place 4 meatballs in the roll with a slice of cheese. 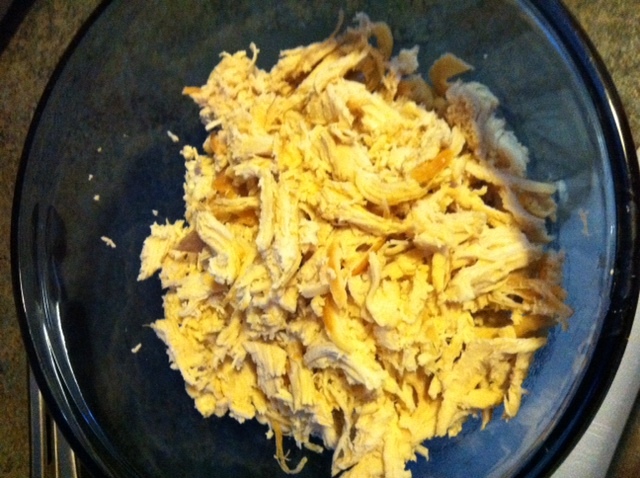 Broil until golden brown (about 1 minute), then top with slaw.